6 Pc. 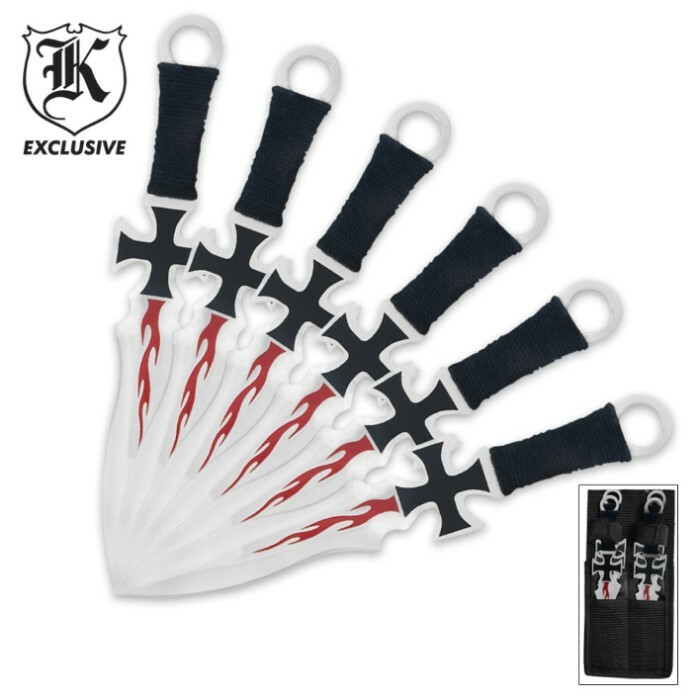 Thrower Set Black | BUDK.com - Knives & Swords At The Lowest Prices! Add some style to your throwing collection with this throwing knife set. 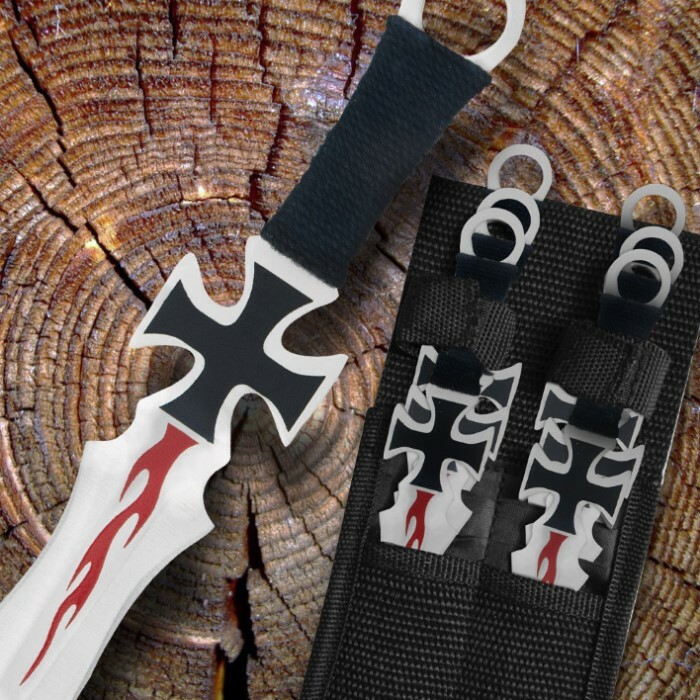 Measuring 6 1/2" overall, each of these throwers features a chopper cross design with a black cord wrapped handle. The razor sharp blade bears a red flame design, and the set is housed in the included nylon case.